Poopy diapers, ear-splitting cries, and sleepless nights: sure, the first few weeks of parenthood are grueling but those other moments of cuddling and kissing your little baby are pure bliss. That wasn’t the case for Alysia and Christian Padilla-Vacarro of Corona, California. Close contact with their infant daughter Evangelina, born in 2012, was off limits. She was diagnosed with a genetic disease that left her with no immune system and no ability to fight off infections so even a minor cold could kill her. 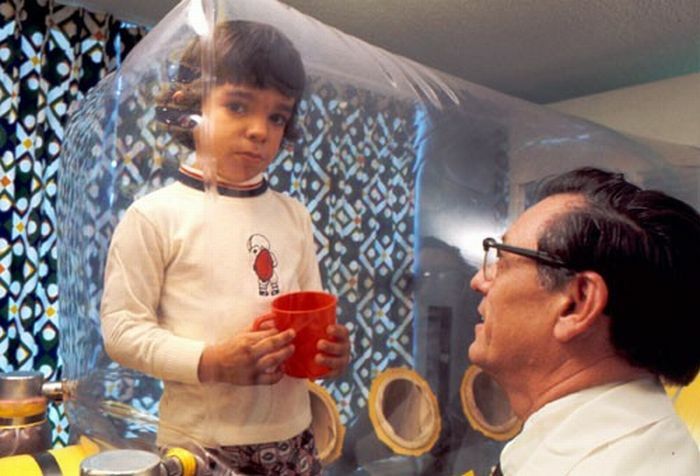 Evangelina was born with Severe Combined Immunodeficiency (SCID) also called “bubble baby” disease, a term coined in the 1970s when the only way to manage the disease was isolating the child in a super clean environment to avoid exposure to germs. Bone marrow transplants from a matched sibling offer a cure but many kids don’t have a match, which makes a transplant very risky. Sadly, many SCID infants die within the first year of life. Inserting the missing gene, called ADA, into the blood stem cells restores the cells’ ability to produce a healthy immune system. And since the cells originally came from the infant, there’s no worry about the possible life-threatening complications from receiving non-matched donor cells. The team’s next step is to get approval by the Food and Drug Administration (FDA) to provide this treatment to all SCID infants missing the ADA gene. At the same time, Kohn and colleagues are adapting this treatment approach to cure sickle cell disease, a genetic disease that leads to sickle shaped red blood cells. These misshapen cells are prone to clumping causing debilitating pain, risk of stroke, organ damage and a shortened life span. CIRM is providing over $13 million in funding to support the UCLA team’s clinical trial set to start early next year. For more information about CIRM-funded sickle cell disease research, visit our fact sheet.